We’d love your help. Let us know what’s wrong with this preview of The Pirate's Gamble by Eden Winters. One man, two lives. In modern day Jamaica, Ian Lewis enjoys a well-earned reputation as a shining star of the archaeology world. However, in the eighteenth century, he's notorious for other reasons: being the captain of a rag-tag crew aboard the pirate ship The Naughty Maid. With the help of a mysterious talisman and his knowledge of ancient treasures, he travels back in t One man, two lives. In modern day Jamaica, Ian Lewis enjoys a well-earned reputation as a shining star of the archaeology world. However, in the eighteenth century, he's notorious for other reasons: being the captain of a rag-tag crew aboard the pirate ship The Naughty Maid. With the help of a mysterious talisman and his knowledge of ancient treasures, he travels back in time to save priceless artifacts otherwise doomed to be lost forever. 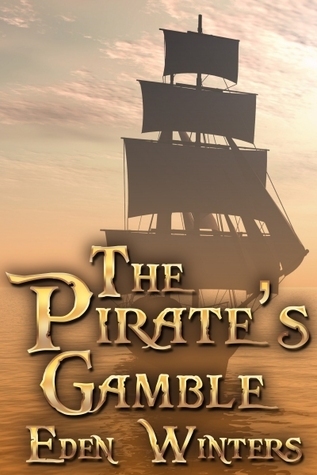 To ask other readers questions about The Pirate's Gamble, please sign up. A surprising adventure on the high seas, pirates, treasure and time travel. Ian and David are on a mission to save and preserve priceless artifacts. Unbeknown to Ian this will be a hazardous trip, all going wrong as the parameters have changed for his return to the present. Its a really good story, it really needed another 150 pages more. That would have made me very happy. I would love to go back in time once more with David and Ian! The book begins with hero, Ian, on his pirate ship. However, Ian is no ordinary pirate captain. He travels backwards and forwards in time between the present day and the 18th Century Caribbean islands using a special stone which was found in an archaeological dig where he also met his lover David. As a pirate he ‘rescues’ important artifacts from ships which are know I was attracted to this story because I love pirates and time-travel stories so what could be better than a time-travelling pirate? If I have one criticism of the story it is that there were a number of things which were either glossed over and not explained fully or could have been expanded upon. This would have made the story longer, but I felt that maybe the story would have been better for it. An example of this is the statue that Ian risks his life to get for David. A little foreshadowing of David’s desire for this piece would have taken away some of the abrupt way this was introduced right at the end. Also there were some details such as how Ian managed to convince his crew to take him on as captain and how he kept that captaincy in the cut throat world of piracy, how the two men agreed on hiding places that wouldn’t be discovered in the intervening 200-300 years and the actual properties of the stone and the ’special cloth’ used in the time travel which could have enhanced the story had they been filled in a little better. Very good short time travel m/m romance about an archeologist who travels back in time and rescues artifacts that are about to be lost forever, then returns home to the man he loves... but who keeps him a secret. A sweet little piece centered around two mysterious artifacts: a gold statuette and a stone pendant in a metal box. I could've read on about David and Ian; although I wished all mysteries solved, I liked it a lot that the story left room to dream! I thought that this was a neat idea! Love the blending of pirates and time travel and archaeology. I wish it was that easy finding those artifacts! 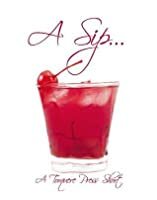 Great, quick read...I definitely enjoyed it. Very short, but interesting premise. Ian is an archaeologist but he is also an eighteenth century pirate one purpose serves the other and along with his fellow archaeologist and lover David they are the darlings of the archaeology world for their discoveries of ancient lost treasures. But there is one thing that Ian wants more than any treasure, he wants his lover David to step out of the closet and acknowledge their love out in the open and so begins the Pirates Gamble. I am really surprised at how short this book really is because reading it, it felt a lot longer just because of the wonderful details, the great interaction and the flashback that was in this story. Ian is seventeen years younger than David and David at fifty-four has a lot of fear as to how other people will react and treat him if he comes out, Ian is fed up with being a dirty secret, he wants to be able to love David openly and is tired of David’s excuses so for his last journey aboard The Naughty Maid his wish to return changes slightly and he has to hope that he hasn’t made a mistake. I enjoyed this story because it was so well written that you could see the POV from both characters, David grew up in a slightly different time to Ian and has learnt to keep his private life private, whereas Ian grew up in a time that it was more acceptable to be gay. Watching David struggle with his fears is touching and when he finally opens his heart fully to a complete relationship instead of sneaking around he has to hope that he wasn’t too late. Ian puts a lot of trust in David’s love for him and prays that it will pay off. David and Ian are both archaeologists. Year's ago in Egypt they found a magical stone which could transport Ian back in time. So they started a little "business" where they would figure out when a ship with some kind of treasure would be sinking in the past, then Ian would go back and use his pirate ship to raid it and hide the good stuff in a place David could dig it up a few hundred years later. They've been doing this for years, but David is in his 50's and from Jamaica and has been hiding th David and Ian are both archaeologists. Year's ago in Egypt they found a magical stone which could transport Ian back in time. So they started a little "business" where they would figure out when a ship with some kind of treasure would be sinking in the past, then Ian would go back and use his pirate ship to raid it and hide the good stuff in a place David could dig it up a few hundred years later. They've been doing this for years, but David is in his 50's and from Jamaica and has been hiding their relationship. Finally Ian lays it on the line, he is going back one more time to get the treasure David has been lusting over for years, but it's dangerous because his pirate ship is set to perish. He gives David the ultimatum, come out as lovers or he's lost him. What decision will David make and will Ian make it back safely from his trip? This was quite an interesting twist on the time travel and while I get a bit frustrated with guys like David who are sure everyone's going to freak out if they come out as gay, 30+ years of hiding is a hard habit to break. I liked the idea of a time-traveling archeologist rescuing artifacts lost to the modern world. In fact, I'm pretty sure that would have made a great story all on its own, but mixed up with a clunky relationship where I didn't sense any chemistry, it made for an okay story. I have to say, I usually don't fall in love with stories where somebody is in the closet because of self-loathing and this story just proved my rule right. A lot a potential in the premise, but it just didn't live to it. An interesting blend of themes: magic, time travel, history, pirates, academia, romance, coming out, and love. Which is an amazing combination in 17 pages. Eden Winters blends these themes beautifully in another wonderful short story. I can't wait for a full length novel.